Bitcoin is being traded at double its value in Zimbabwe following the coup earlier today. Bitcoin is battling a cold war with financial institutions over its credibility on international markets, to be accepted as a currency. This will go a long way in reaffirming the demand for bitcoin in developing markets. It is becoming more popular with people who want to trade in a stable currency. The hike in demand demonstrates the cryptocurrency is preferred to the US Dollar. Zimbabwe doesn’t have its own currency, with the government adopting the U.S. dollar and South African rand, among others, as legal tender in 2009 after hyperinflation rendered the local dollar worthless. In 2008, the central bank printed a 100 trillion note, and inflation topped 500 billion percent. The local exchange Golix, the price of bitcoin has risen almost 10 percent in Zimbabwe on news of the coup. Golix saw $1 million worth of bitcoin transactions, compared to $10,000 for the whole of 2016. Golix, an unregulated platform that also trades other cryptocurrencies including bitcoin cash, has been in operation since 2014. 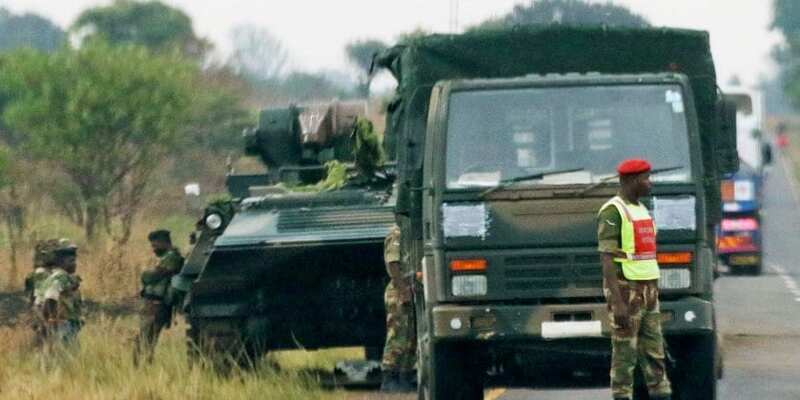 Zimbabwe’s army moved into the capital, Harare, on Tuesday after a week of confrontation with President Robert Mugabe’s government and said the action was needed to stave off violent conflict in the southern African nation that he has ruled since 1980. Breaking News From Zimbabwe: Mugabe Under House Arrest!